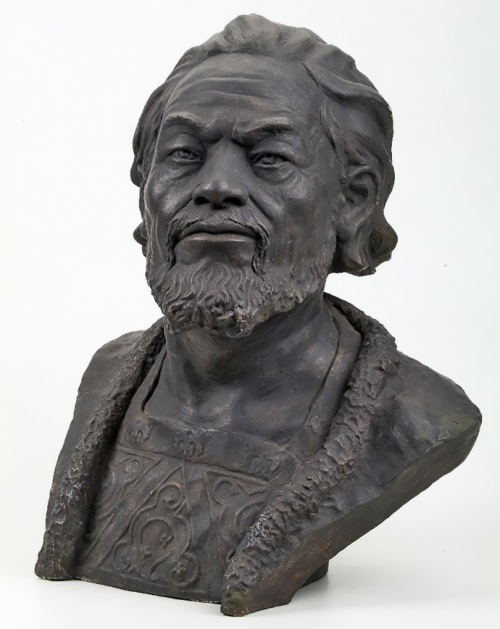 Prince Andrei Bogolubskii (1110-1174), the son of Yuri Dolgoruky, was a rather tough man, but the history of North-Eastern Russia with the capital in Vladimir is associated with his name. Bogolubskii conquered Kiev in 1169 and put an end to Kievan Russia, which ceased to exist as a single state, having turned into a sort of modern CIS. The young prince did not want to quarrel with his relatives for the throne of Kiev, and after his father’s death in 1115 he went to the north, where the Rostovites and Suzdalians recognized him as their prince. 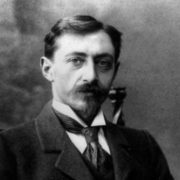 There he founded the new Grand Duchy of Vladimir, which was destined to become the heart of the Russian state for almost two centuries. He undertook several successful military campaigns. The prince declared Vladimir the capital, and appropriated himself the title of Grand Duke of All Russia, and in Western historiography he is often called the first Russian tsar. 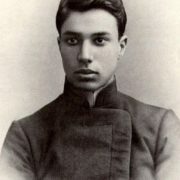 The only information about Bogolubskii’s birth date (1111) is in Vasily Tatishchev’s History written 600 years later. 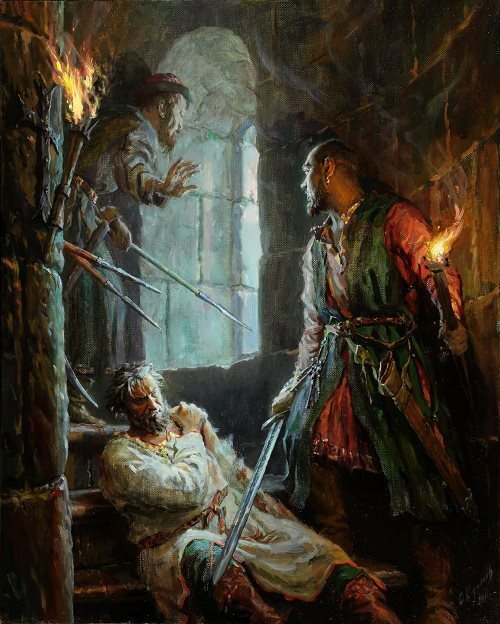 In 1146 Andrei together with his elder brother Rostislav expelled an ally of Izyaslav Mstislavich – Rostislav Yaroslavich from Ryazan. 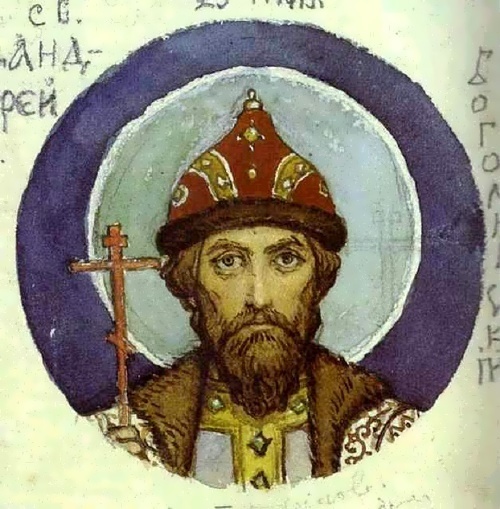 And in 1149, after the occupation of Kiev by Yuri Dolgoruky, Andrei received Vyshgorod, participated in the campaign against Izyaslav Mstislavich and showed remarkable prowess in the assault of Lutsk. 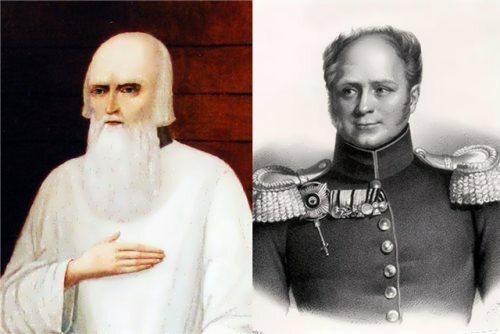 Four years later Andrei became a ruler of Ryazan but Rostislav Yaroslavich, who returned from the steppes, drove him out. In 1155, despite his father’s will, he left for Vladimir-on-Klyazma. He took with him the miraculous icon of the Virgin, which later became known as the Vladimir Virgin and became revered as the greatest Russian shrine. On the way to Rostov, the prince saw the Mother of God in a dream, who ordered to leave the icon in Vladimir. Andrei did so, and on the site of the vision he founded the village Bogolyubovo, which eventually became his favorite residence. 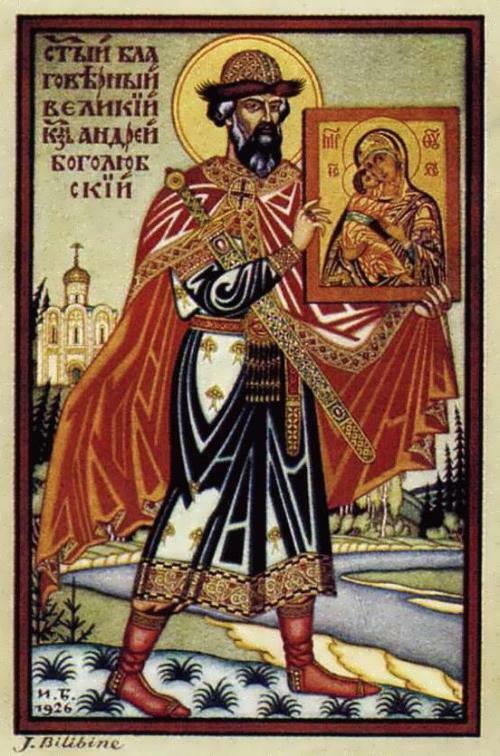 After the death of his father in 1157 Andrei became prince of Vladimir, Rostov and Suzdal. 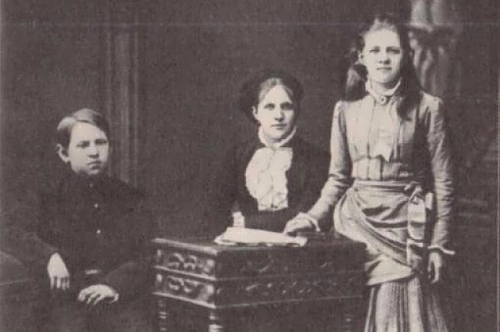 Becoming the autocrat of the entire Suzdal land, Bogolubskii transferred the capital of the principality to Vladimir. In 1158-1164 he built an earth fortress with towers made of white stone. Unfortunately, only the Golden Gate survived. Magnificent Assumption Cathedral and other churches and monasteries were built. Famous Church of the Intercession on the Nerl was built near Bogolyubovo. Under the direct guidance of Andrei in 1156, the fortress was completed in Moscow, the construction of which Yuri Dolgoruky began. There are arguments about the real reasons for his murder. Of course, then the idea of unification into one big state, proposed by the prince, was not liked by everyone. The majority of historians think it is one of the reasons for his murder. The prince began to limit the power of the boyars. They organized the plot against him. Those were relatives of his wife, who was the daughter of boyar Kuchka. Other researchers believe that the murder of the prince was due to his tough temper. 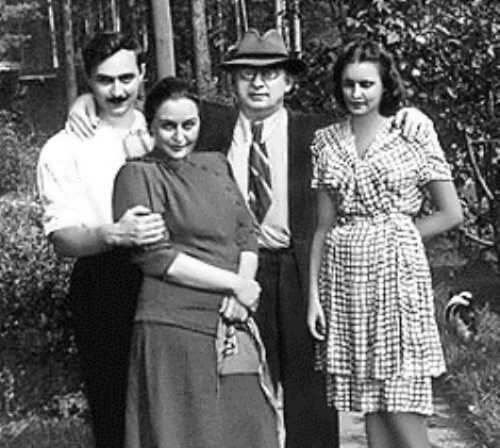 But according to annalistic data there is another version of the reason for the murder of Andrei – his enlightenment activity among the heterodox merchants, for this reason the number of Jews who adopted Christianity had increased significantly. According to the Talmud, a goy who seduced a Jew into Christianity deserves unconditional death. And one of the main conspirators was a Jew. 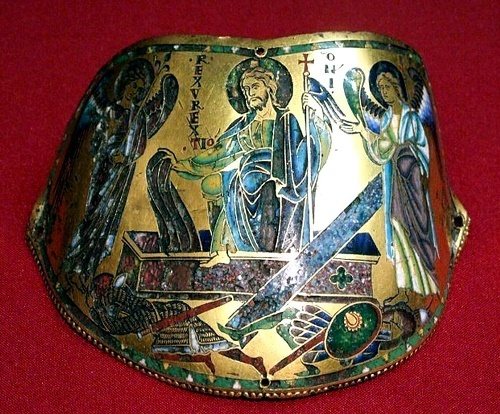 The relics of Bogolubskii are in St. Andrew chapel of the Assumption Cathedral in Vladimir. In 1702 he was canonized by the Orthodox Church.